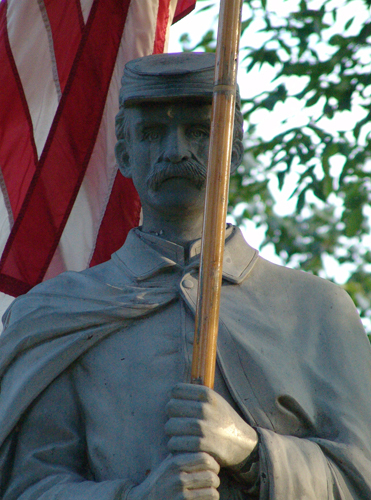 At the start of the Civil War, hundreds of Lebanon County men enlisted in the military, but many of them didn’t return, and many that did had the scars of battle to bear. 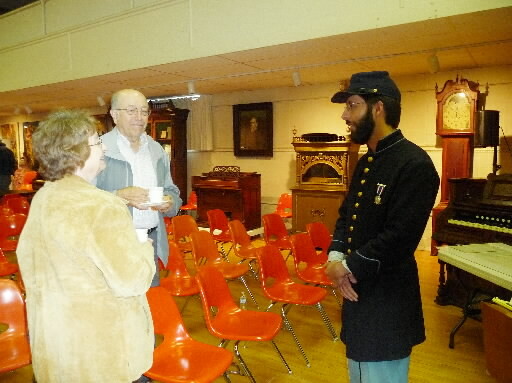 Local historian Greg Keller, dressed in a Union uniform, presented a history of some of these men during a program at the Lebanon County Historical Society on Sunday. Keller explained how the 93rd Pennsylvania Infantry Volunteers were formed and what role they played in the war. “They suffered quite a bit. They suffered numerous engagements, and we see many, many men wounded and killed. Some of these men suffered from their wounds the rest of their lives,” Keller said during his talk. The 93rd Regiment was formed by the Rev. James M. McCarter, a clergyman of the Methodist Episcopal Church who was stationed at Lebanon. He had been chaplain of the Fourteenth Regiment for three months prior to being discharged. Keller said McCarter and Capt. Eli Daugherty wanted to continue their service to country, and in the fall of 1861, McCarter sought approval from the secretary of war to raise a regiment of infantry. They held meetings around the county, and within the first week enlisted 500 men, Keller said. By the end of the second week, McCarter had 700 men to form a regiment. One of the recruits was a 12-year-old boy, who wanted to be a drummer. Keller said they enlisted him but later discovered the boy was really a girl. She was discharged from the service. Once the regiment formed, it camped at what was then the fairgrounds. 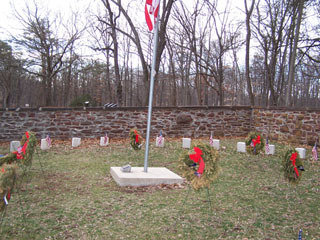 The encampment was located in what is today Monument Park on South Eighth Street in Lebanon. The men drilled daily, and often citizens would come out to watch them or bring them food and other items they might need. Keller said the camp was “quite festive” at times. Most people then believed the war wouldn’t last very long. “They thought they would go out, fire a few shots, and it would be over,” he said. On Nov. 20, 1861, the regiment of 1,020 soldiers headed to Washington, D.C., by train. When they arrived at the nation’s capital, the soldiers were put to work setting up fortifications. Throughout the war, the regiment would see action in key battles, including Gettysburg, Yorktown, Antietam and Appomattox. In fact, there are two monuments at Gettysburg marking the participation of the regiment in battles at Little Roundtop between July 2 and July 4, 1863. Keller related several stories about the soldiers who served in the regiment. One of the more famous tales is that of Capt. Eli Daugherty. 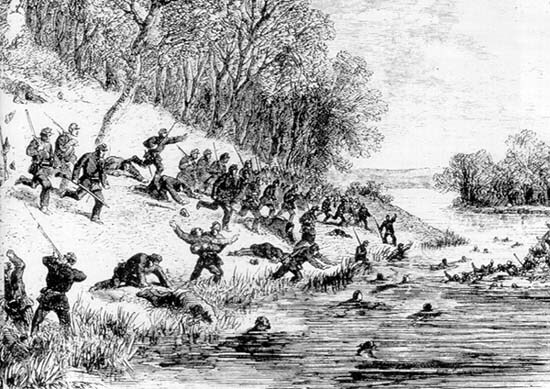 In late May 1862, the 93rd regiment fought at Fair Oaks, Va. Daugherty narrowly escaped death when a bullet pierced his vest pocket, hitting a gold pocket watch and passing through 600 pages of the Bible he was carrying. The bullet wounded him, but the watch and the Bible had taken the brunt of the bullet’s force, saving his life. The 93rd Regiment served until June 27, 1865. In total, the regiment lost 274 men, and hundreds more were wounded. The Historical Society at 924 Cumberland St. has a number of items from the Civil War and the 93rd Regiment, including two of the original flags given by G. Dawson Coleman, the key sponsor of the regiment. Among other items are the Bible and pocket watch that saved Daugherty’s life. 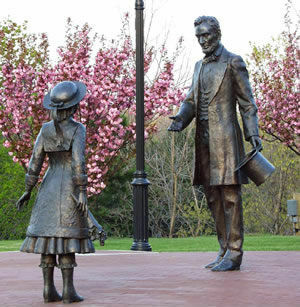 The society’s next program will feature a talk on toys, trains and holiday trees at 1:30 p.m. Sunday, Dec. 20. The free program is open to the public.